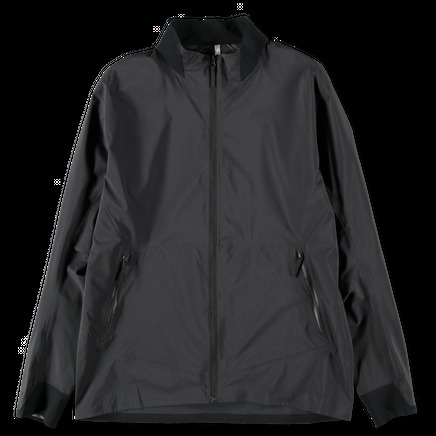 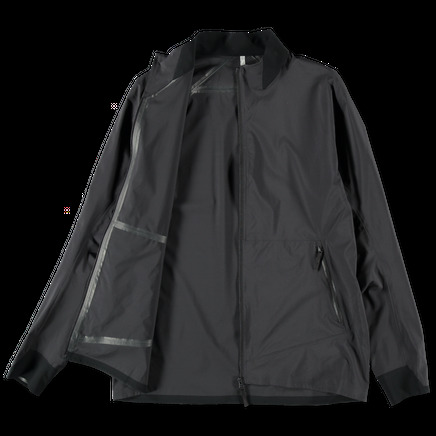 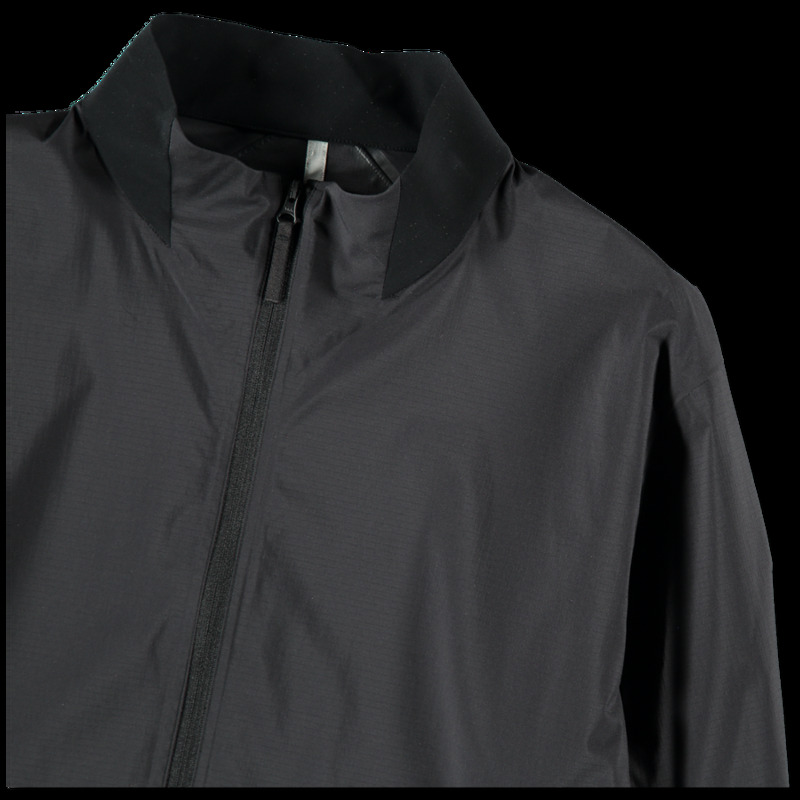 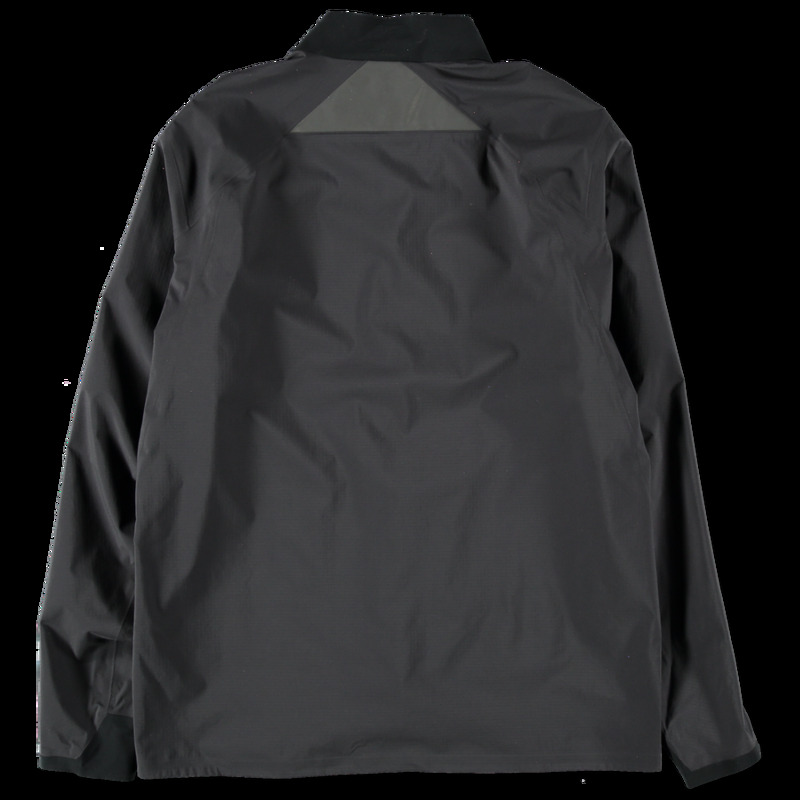 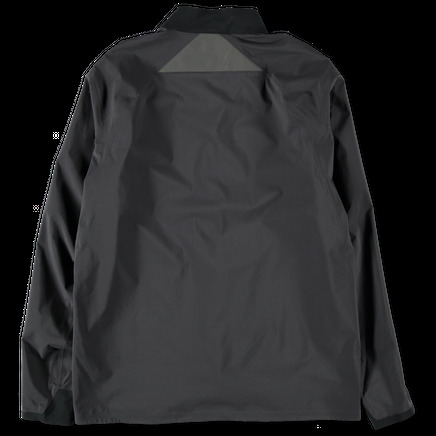 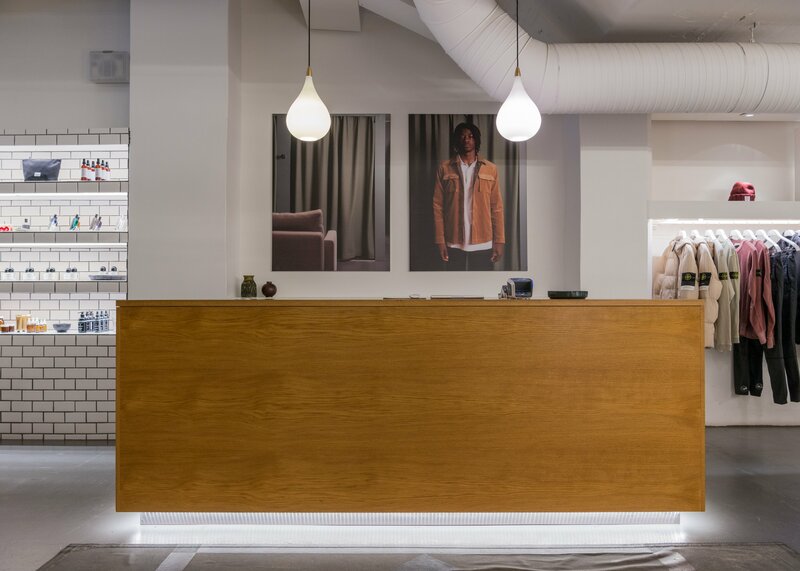 Wind and water resistant jacket in a lightweight nylon ripstop with DWR finish. 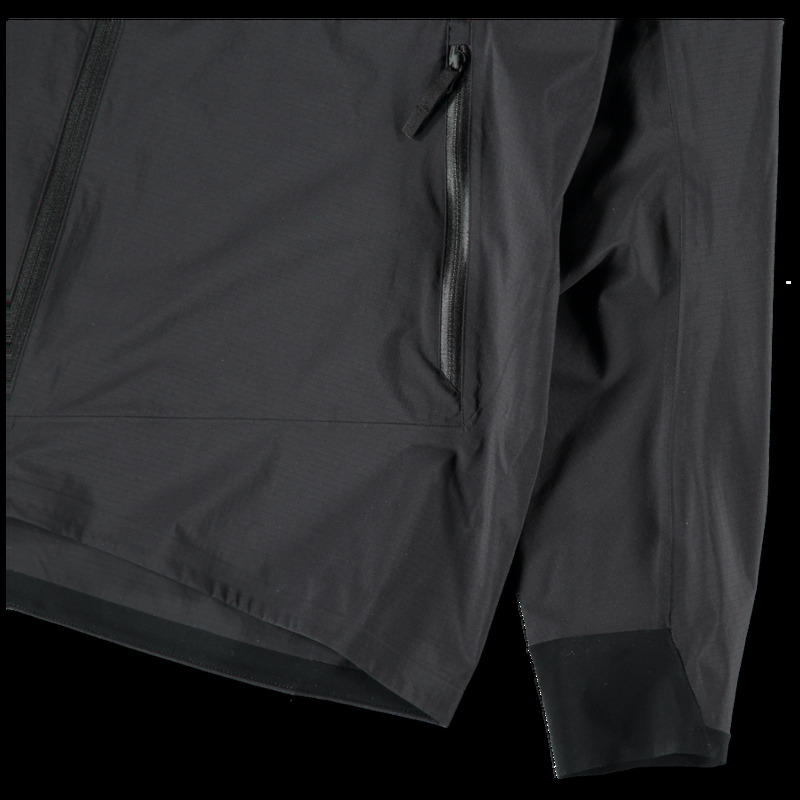 Taped seams throughout. Elasticated cuffs, adjustable hem and zippered hand pockets. 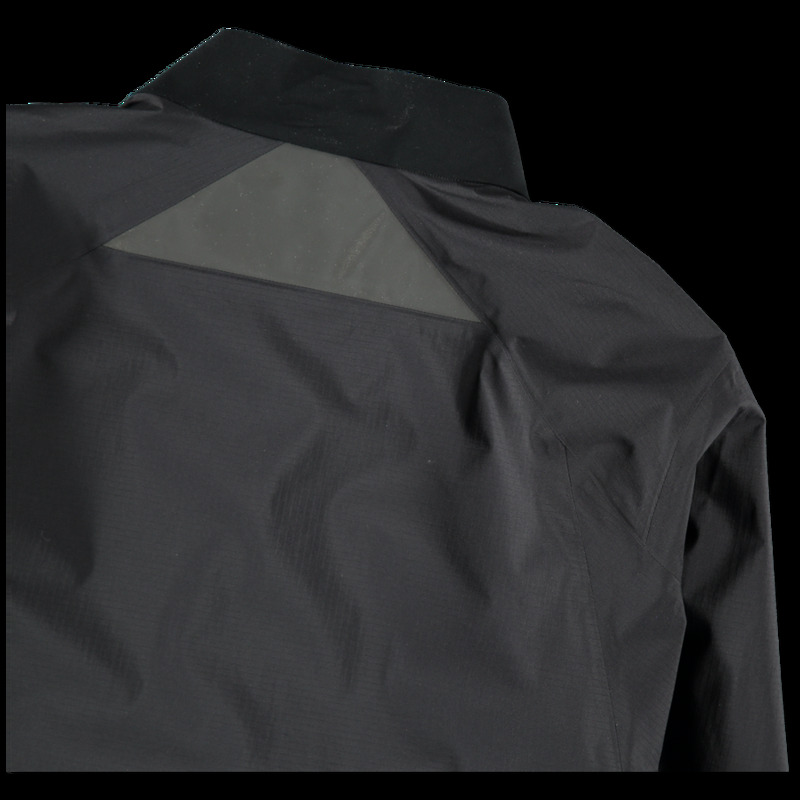 Reflective panel detailing on neck.